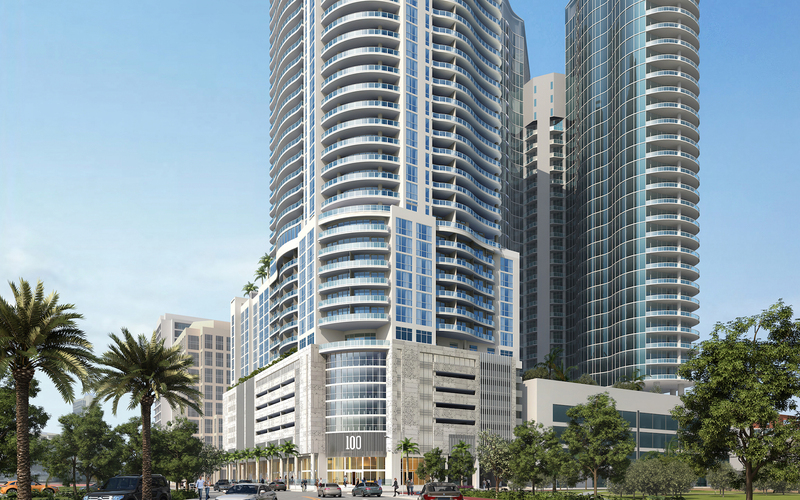 100 Las Olas boasts 46 stories and it is one of the tallest towers in the city, with 113 residential units overlooking Fort Lauderdale. 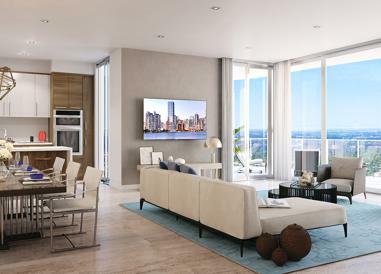 The acclaimed Kolter group and the best professional team of architects, interior designers and construction companies are in charge of this unrivalled building, which will rise in the exclusive Las Olas neighborhood. 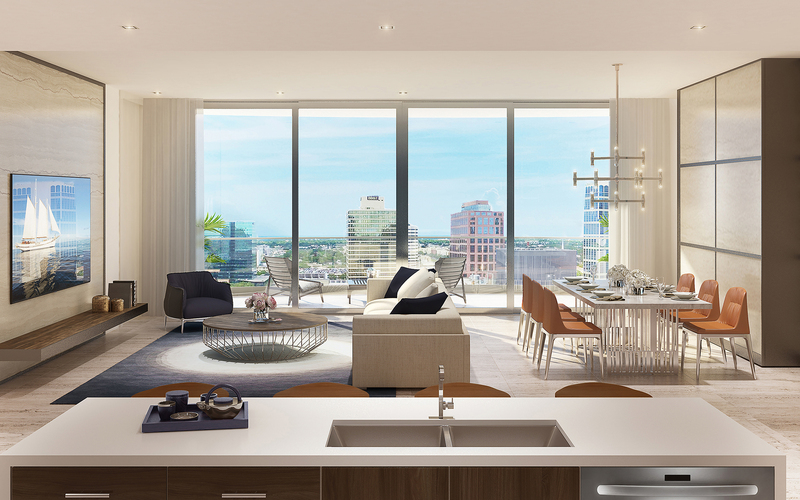 The spectacular reflection of natural light due to the curved structure and the panoramic fenestration will give you a sense of luxury and serenity in the midst of an urban surrounding. 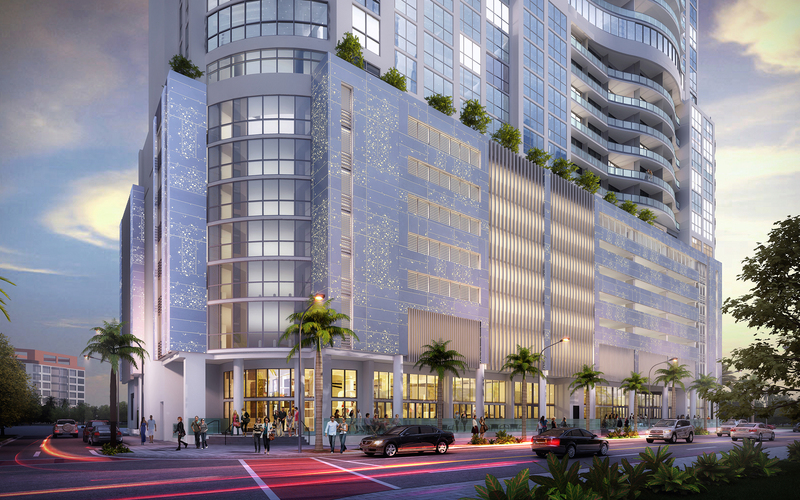 The condominium is not just eye-catching; it provides unparalleled resort-style amenities for your entertainment and leisure. 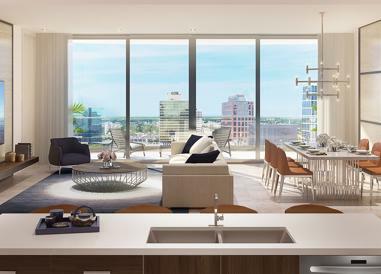 Everything you expect, you can find it in this metropolitan paradise. 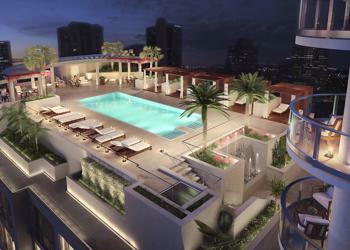 100 Las Olas has a stunning elevated resort-style pool alongside private day-cabanas. The clubroom is equipped with a catering kitchen as well as an outdoor plaza for any of your events. 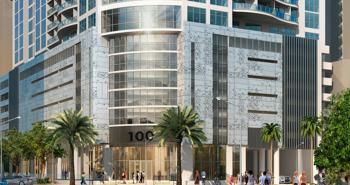 100 Las Olas features a 1,900 S.F. 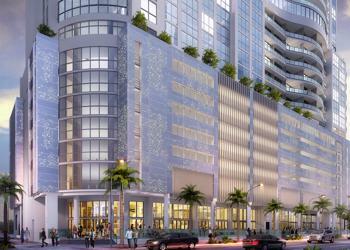 state of the art fitness center enhanced with the best high tech equipment. 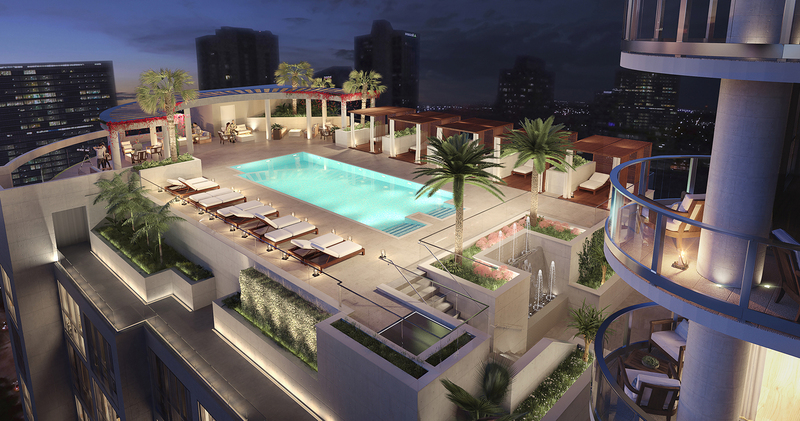 Indulge yourself with the inviting open areas, from lounge cabanas to a fire pit, outdoor cooking space and much more. Sq Ft Range: 1,811 - 3,522 Sq. Ft.